For over a hundred years, postcards have travelled around the world, being in their own way part of the past, and depicting people, events, landscapes, streets and monuments. The first postal card, plain, with the text on a rather small piece of thick paper, and intended for mailing without an envelope, was sent in 1869 in Austria-Hungary. The decision to introduce them into Serbia was made two years later, but they did not appear in postal traffic before 1873. In 1881, correspondence cards, also plain, replaced them. They were issued by the Post Office, i.e. Government, whilst the first cards bearing vignettes were privately printed. 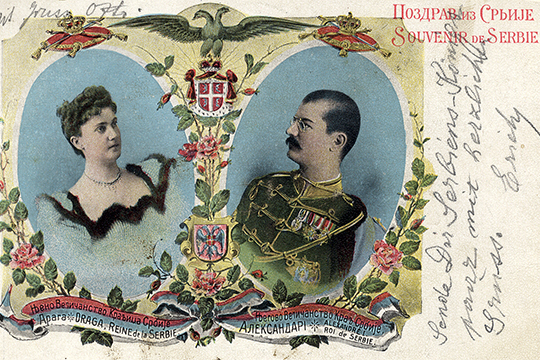 The first such postcards appeared in Serbia in 1896, showing pictures of Serbian towns, and won wide public attention, resulting in the Rulebook for the privately printed postcards. Those first cards were characterized by an undivided back, with the writing limited to the front (i.e. picture side) of the card only. However, starting in 1906 the front was used exclusively for the design. 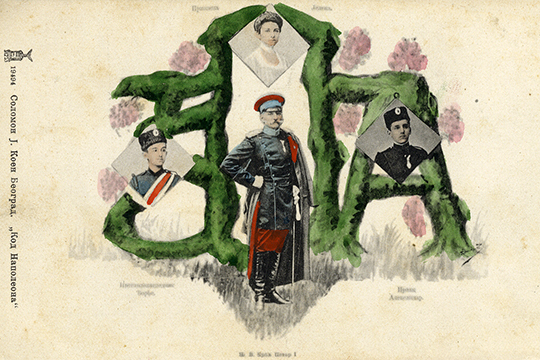 The postcard collection of the Historical Museum of Serbia was formed by its separation from the photograph collection, on account of the specific qualities of the postcards. As an authentic testimony of a certain moment, the postcard is invaluable for showing places, personalities and events. Unlike them, photographs were not published in large quantities and were less well preserved. The collection includes over 5000 postcards, the value of which is contained on both sides of the cards. However, the Museum considers the front much more important and interesting than the divided back, which was usually used for the address and message; however, some exceptions have been made. When acquiring new pieces for the collection, the card’s publisher or its documentary quality are two of the strict criteria a curator has to adhere to. When separated into a new collection, the postcards have been divided according to their broad subject appeal: architectural monuments, portraits of outstanding figures, cities and towns, foreign countries, wars, folk costumes and traditions, historical events, dynasties, etc. The oldest cards in the collection are those depicting the towns of Belgrade, Niš, Užice and Jagodina, and date from 1899. Such cards, often printed in 14×9 cm size, also prevail in the collection, although there are examples of postcards printed in book form.